** Parents will only need ONE Activation Key and you WILL be able to see ALL your students. Using the Activation Key you received from the school, create your username and password. The Activation Key is only needed the first time the user accesses the Portal. Upon logging in, the user will be required to establish a username and password for subsequent logins. On the Login page, Select the If you have been assigned a Campus Portal Activation Key, click here option. 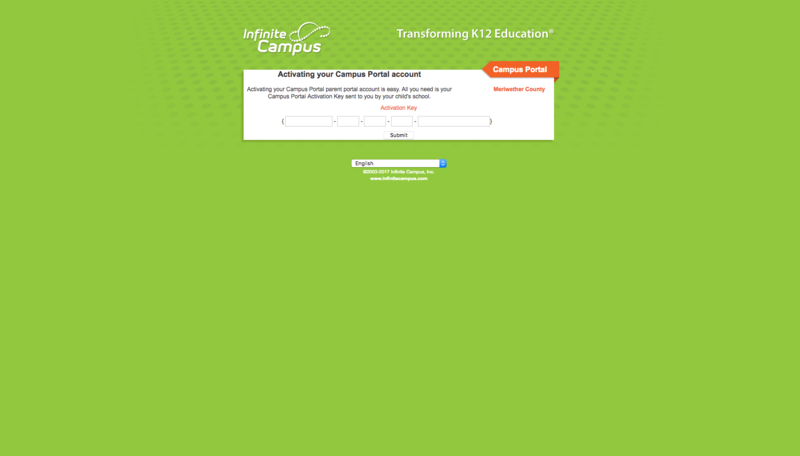 An Activating your Campus Portal Account screen displays. to create an account, it cannot be used again. prompt the user to create a username and password.